We live in a world of surveys and data, of charts and talking heads, of people assuring us that they are experts and know their information is accurate. As all things are measured and weighed, questioned and compiled, we wonder: Is there an anticipated normal in life? Your home will sell when the one right buyer views your home, falls in love, and has the means and desire to purchase it. Pricing is always a driving force. The engine for the market is money, and that is regulated and adjusted by pricing. Overpriced properties rarely sell in today’s market, period. Realtors, buyers and sellers should always be weighing market analysis: How does a property compare to other properties currently listed and sold within the past few years? Location, style, acreage, number of bedrooms, water features, views, and other items also factor into a property’s desirability and potential for being sold. Everything, though, gets funneled down to price per square foot and whether that price holds up to scrutiny. Accurate pricing, marketing and advertising, though, is meaningless without the most crucial ingredient: the buyer materializing in Bozeman, in the flesh. People do not purchase properties via photos, videos, marketing materials, and simply the internet. They need to physically enter the property. They need to walk through the rooms, see the views, feel the essence of the home and weigh the asking price to the overall property. In order to do this, they must come to Bozeman. Our experience and data indicates that the vast majority of buyers for properties priced a million dollars and above are not from Bozeman, or even from Montana. I would venture to guess that greater than 90% of all luxury sales in Bozeman are to people currently living in another state. Who is coming to Bozeman? What process do they seem to follow? What factors make them decide to buy here? 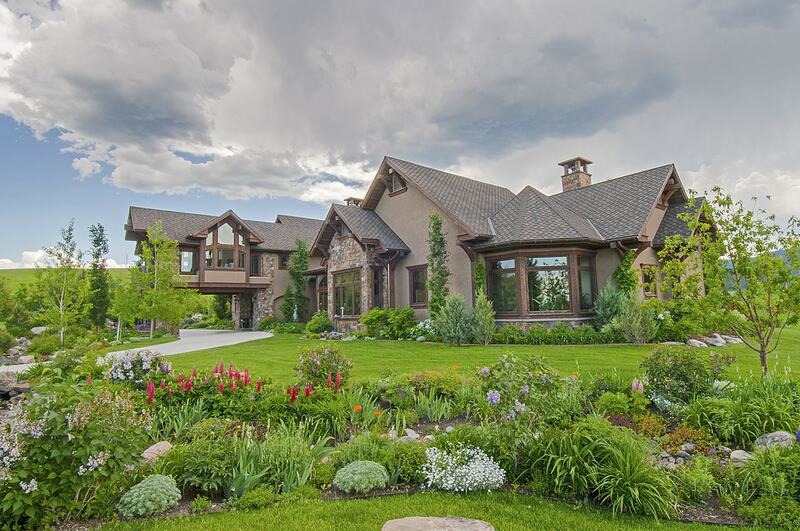 Luxury buyers in Bozeman tend to be 50 years of age or older. Younger buyers are doing well in life to be able to afford a $500,000 to $900,000 home and are moving to Bozeman due to lifestyle, educational opportunities for their children, and Bozeman’s thriving economy and business opportunities. When you get to buyers seeking properties a million dollars and above, the dynamics change.Bozeman is somewhat off the beaten path. Our newly expanded Yellowstone Bozeman International Airport makes travel easier, but travel here frequently involves airport transfers and hours of high priced air travel to get here. Non-stop flights are not the norm. The typical buyer arrives in Bozeman around noon, or they miss the whole first day by arriving late afternoon or evening. They have been searching the internet for weeks, have contacted a Realtor, and have worked through a list of potential homes they wish to view. Depending on how difficult it is for them to get here, over the course of a day and a half to 3 days, they will view 10 to 20 properties. The typical million-dollar-plus buyer’s connection to Bozeman tends to be due to: (1) As a child, they came to Bozeman and/or Montana to fly fish, camp, ski, visit Yellowstone and they have harbored a longing to be here, (2) They or their child attended/attends Montana State University and they have fallen in love with Bozeman over the years, (3) A grown child lives in Bozeman and now has their own child, so the buyer wants to be close to family, (4) The buyer can work from home or is ready to retire and they dream of Montana and the lifestyle. Bozeman’s community and outdoor activities is a big draw, (5) They already own a second home in a mountain location but that community no longer holds its original appeal and they want a change, (6) They want to escape summer heat and Bozeman seems a likely place to explore. Buyers arrive armed with a list of potential homes and an agent adhering to a schedule. If this is a first visit to Bozeman, they tend to be shocked that their dollars don’t go as far in Bozeman as they imagined. Yes, Bozeman is a better buy than Aspen, Telluride, Park City, and other mountain towns, but it’s still expensive. Buyers leave after Round One saying they will be returning with a few weeks, a month, the following season. What they say, and what they do, do not always align. Sometimes they return with a few weeks, more determined than ever to identify a property. Most times, it is weeks or months before the second time, or only when their agent alerts them that the home they are seeking has just come on the market. When a luxury home goes under contract within days of coming on the market it is typically due to a specific buyer who has already property searched in Bozeman a few times and is waiting for that type of home to come to market. At this time, Montana rustic-style (but not too dark!) homes with top-of-the-line finishes, between 4,000 to 4,500 sqft, 3 bedrooms, with privacy, views, close to Bozeman, and with guest quarters do not exist. If one comes on the market, properly priced, it will sell within days as a number of Realtors have out-of-state clients ready to pounce on that type of property. It takes a normal high-end buyer two to three visits to Bozeman before they identify a home or decide they have to build in order to get what they want. This process can be drawn out literally for a year or more. They arrive, view properties, leave without making a single offer, fall off the radar, then resurface 18 months later and want to look again. Inventories may or may not have changed much, as many homes over a million dollars are on the market for 2, 3, or even more years prior to selling. It is not unusual for a new buyer to Bozeman to visit 3 times prior to deciding on a home, which, given the relatively small pool of buyers, draws out the selling process even further. Once the they decide to make an offer, today’s buyer still believes they are in the driver’s seat unless they are going after the rare home sited above that has just come on the market. Otherwise, the buyer wants 10% or more off the list price. Some even think 25% below list is an acceptable beginning offer. There is a correlation between the amount of remodeling a home requires to the willingness of a buyer to draw a line in the sand and walk away if they don’t get the price they feel the home is worth. Sellers today are willing, as well, to turn down offers and not accept what they feel is a below market price. They trust another buyer who is willing to offer more will materialize sooner than later. When we are asked, “How long will it take for my home to sell?” we are factoring in all the variables of the individual property, the motivation of the seller and the price they are willing to list for, and the dynamics of the prototypical Bozeman high-end buyer. “We have no idea,” is our general response. We are not fortune tellers. We do have a backlog of clients who are in the midst of cycling in and out of Bozeman searching for their ideal property, but until they somehow get to Bozeman and actually view the property, we have no idea if this is truly the Montana home of their dreams, wants, and ability to execute. What is truly normal in real estate is learning how to do everything possible to attract a buyer, to have everything properly positioned and ready once the they materialize, and to be patient while you wait knowing that in hiring the right Realtor you have begun what can be a long process. It is normal for it to take well over a year to sell your million-dollar plus home in Bozeman.